On Friday 22 June 2018, the Aberdeen activpayroll team joined over 500 others to take part in the Maggie’s Culture Crawl for the second year. Starting from Aberdeen Sports Village, the team embarked on a 10 mile night walk visiting 12 different cultural landmarks along the way. The walk included visits to the Zoology Museum, Freemasons Hall, Marshal Square and The Capitol, with walkers finishing the 10 mile route at Maggie’s Centre. Entertainment and refreshments were provided at each stop, including a performance from the Aberdeen Rock Choir at Marshal Square, magic at Freemasons Hall and a muffin and cocktail at The Chester Hotel. Each team member was tasked with raising at least £100 in sponsorship money, with the current total raised standing at £4,345.18. Thanks to donations from friends, family and work colleagues, the money raised will go directly to the Maggie’s Aberdeen Centre which costs over £400,000 a year to run. The centre offers free practical, emotional and social support to people with cancer as well as their family and friends. Built in the grounds of Aberdeen Royal Infirmary, Maggie’s Aberdeen has professional staff on hand to offer the support people need. 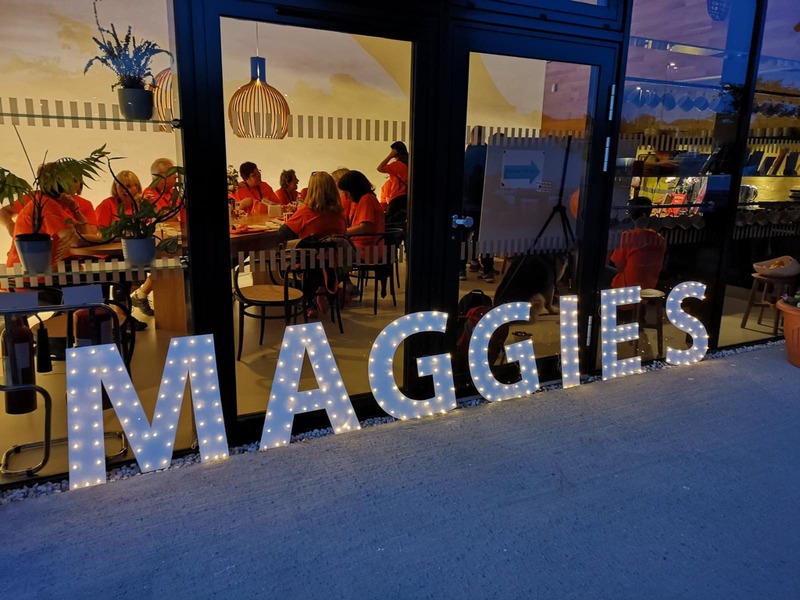 Earlier in the year, activpayroll hosted a ladies ‘Fizz Afternoon’ at Maggie’s Centre and generated an amazing £4,600 for the centre through ticket sales and raffles. In August this year, a team from the Aberdeen activpayroll office will take on Ride the North in aid of Maggie’s.